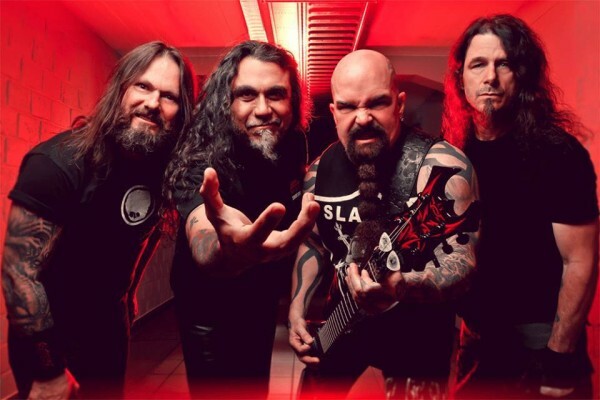 Slayer are touring North America this fall with lesser eighties speed metal bands Death Angel and Anthrax. I’m still hoping for a SlayExodus tour where the same lineup plays 75% Slayer and 25% Exodux material. Slayer Fan Club members (Does anyone who doesn’t watch the WWF pay to join this?) may preorder tickets now; sales to the general public go on sale Friday. 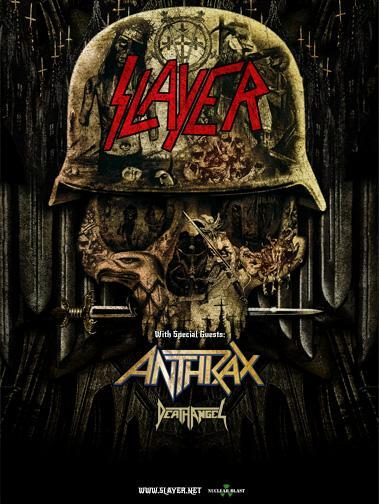 * Slayer, Anthrax and Death Angel are all on this bill. Many of those who are involved with music have spoken praise for the 1980s speed metal explosion, which offered a form of music with both intensity and integrity. Until the great wave of commercialization, it simply refused to join the social impulse to all get along and behave like everyone else. The royal is addicted to the music of bands including Megadeth, Slayer, Metallica and Anthrax, according to actor Dominic West. Dominic, 44, said it was the only music that Harry, 29, would listen to on their recent Walking With The Wounded expedition to the South Pole. While none of us want to be stuck in the 1980s, and retro-nostalgia is both embarrassing and makes us hate the future, perhaps it is time for metal to look back at what made speed metal so popular. First, it did not behave. When the teacher said, “Everyone sit down,” it ran around its desk. When the teacher wanted everyone to play nice with each other, it did not. When someone said “Give peace a chance,” speed metal gave them the finger. It was disobedient, lawless, wild and uncontrolled. Second, it had musical integrity. Please just say no to either (a) droning three-chord “trve kvlt” retro-metal and (b) droning three-chord “innovative and open-minded” post-metal. It’s musical simplisticism. No one seems against minimalism per se, but when it becomes an excuse to dumb it down, it’s time to leave the hall. Death metal and black metal at least initially carried on these values but over time got closer to the punk rock that had sold-out, standardized itself and caved in before them. 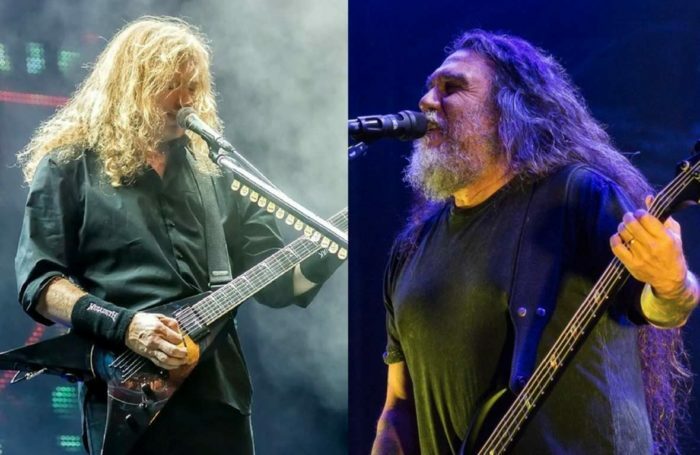 When death metal was 300 intricate but occult nihilist riffs per song, it piqued our attention; when it became three riffs in verse-chorus form it made itself into a parody. 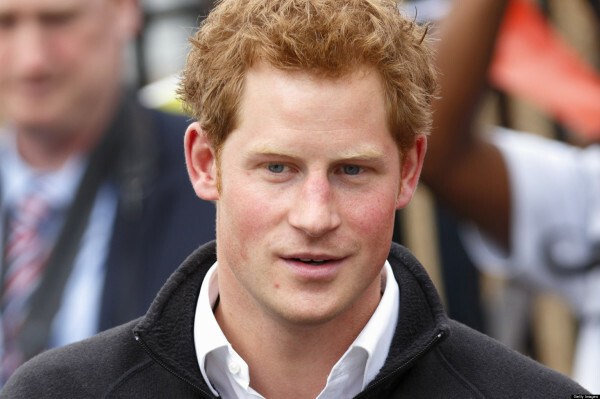 Perhaps our new watchword in metal should be to make music that belongs on Prince Harry’s iPod. 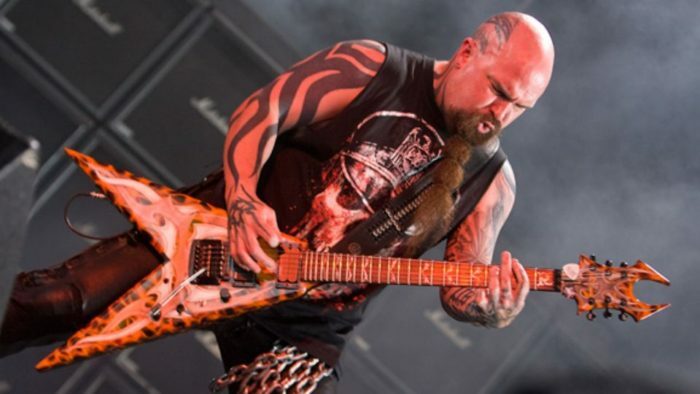 As a cultural barometer, he provides a better sense of how metal is doing than most other sources we could consult.